The glass walled Floating Pavilion offers a different perspective of the Business Park, a beautiful object, creating an interesting tension with the lake. 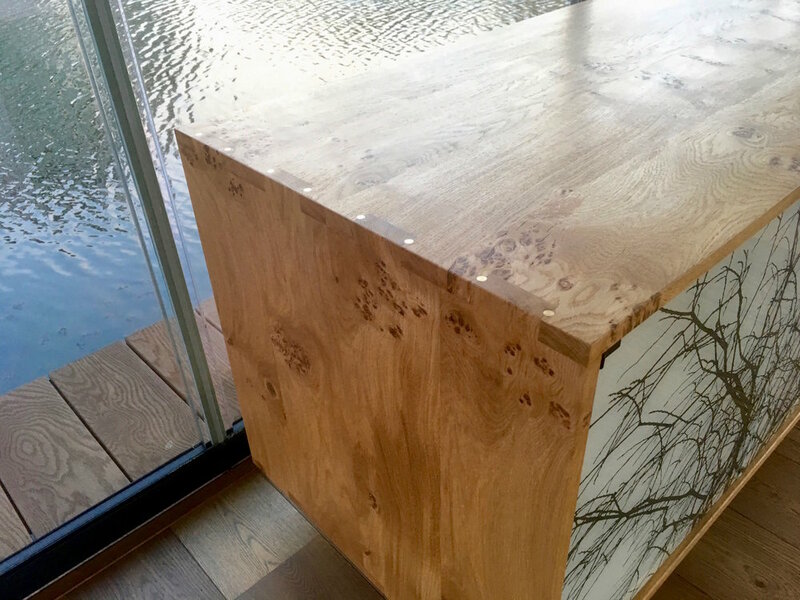 Eco Floating Homes create exceptional crafted furniture, with direct links to the William Morris Arts and Crafts movement our craft based ethos means that beauty is visible in every detail. Working with Eco Floating Homes is a holistic experience that is felt beyond traditional design, creating inspirational, beautiful tactile spaces. We take time to understand your life, what you love and how you work.